Clinical Research in Dermatology: Open Access (CRDOA) is an international Open Access Publication dealing with the skin, its diseases and their treatments. The manuscripts submitted to this Scientific Journal undergo a strict Peer-Review process before publication. 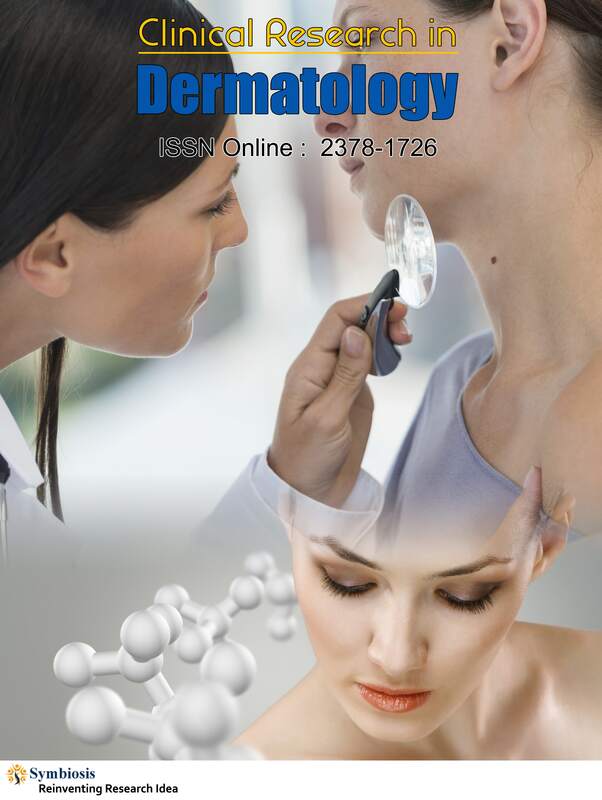 It provides a medium for projecting interesting and intriguing research in dermatology. The articles feature studies like dermato clinical investigations, cosmetology, skin infections & diseases, skin cancer, skin grafts, allergic reactions and immunological responses. Laboratory and clinical studies which provide new information will be reviewed expeditiously. Basic research into histology of dermal and dermal structures; that provide clinical insights and potential treatment options, are key topics for the journal. Open Access Journal of Dermatology gives complete information about normal and pathological processes in skin development and aging, their modification and treatment. It provides updates on all aspects of the diagnosis and management of skin diseases. These diseases often present with skin manifestations and the dermatologist needs to perform several diagnostic tests and review the medical history of the patient, before recognizing and confirming the constellation of symptoms as a systemic inflammatory disease. Open Access Journal of Dermatology is an open source for Scholarly Articles like original submissions, reviews, surgeon’s reports, rapid communications, editorials, case reports, clinical images and letters.